Mumbai, March 25: Mumbai Indians and their woe with opening games in the Indian Premier League continued on Sunday as they lost to Delhi Capitals by 37 runs at the Wankhede Stadium. While chasing Delhis score of 213 was never going to be easy, the failure of the top-order to make it count only made it all the more difficult for the home team. "The first game is always challenging for most of the teams because there are a lot of new players in the squad. 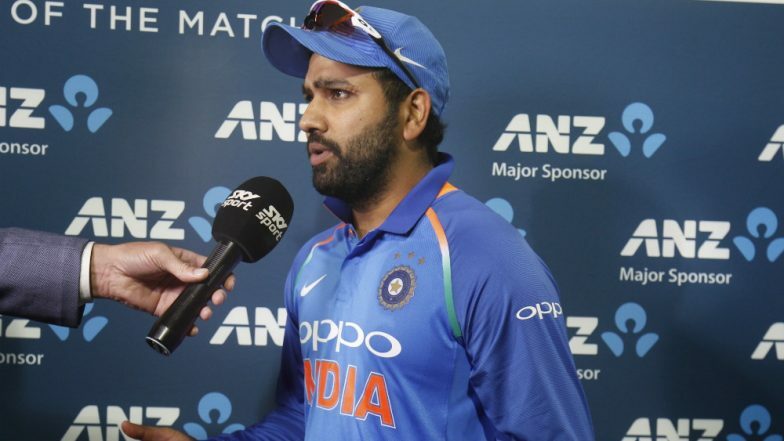 We made a lot of mistakes today and that was the reason we lost the match," skipper Rohit Sharma accepted. DC beat MI by 37 runs | Delhi Capitals vs Mumbai Indians Live Cricket Score 3rd T20 Match. Coming in to bat at the no.5 slot after the dismissal of Colin Ingram, Pant hit an unbeaten 78 off just 27 balls to take the game away from Mumbai and Rohit credited Pant for this fantastic display. VIVO IPL 2019: I Was Quite Nervous After Watching Rishabh Pant Bat, Says Ishant Sharma. "We were in the game in the first 10 overs while bowling but the way Rishabh batted, we have to give the credit to him. We missed our lengths and failed to execute our plans but that can happen as there are lot of new guys in the squad and understanding takes a bit of time," he admitted. "We are all professional cricketers and we need to learn from our mistake as quickly as possible. We had six bowling options today. We didn't play another spinner because I thought the pitch will do something for the pacers. They had lot of left-handers in the squad so I was not convinced that leg spinner will bowl full four overs. "We were really very clear about how we want to approach the game. The combination might change in the next match that will depend on the opposition," he said. "I think the pitch was good. It was coming onto the bat nicely. We still ended up scoring 180. Nobody went onto score a big score. Yuvi batted brilliantly. If someone would have made 70+ in the top four then things would have been different," he said.